I love to travel, but really hate to pack. In fact, I was a haphazard over packer. And that only got worse when I started traveling with my daughter, Elizabeth. Eventually I recognized it was silly that I would spend hours on the smallest detail for an itinerary, but leave my packing to chance. 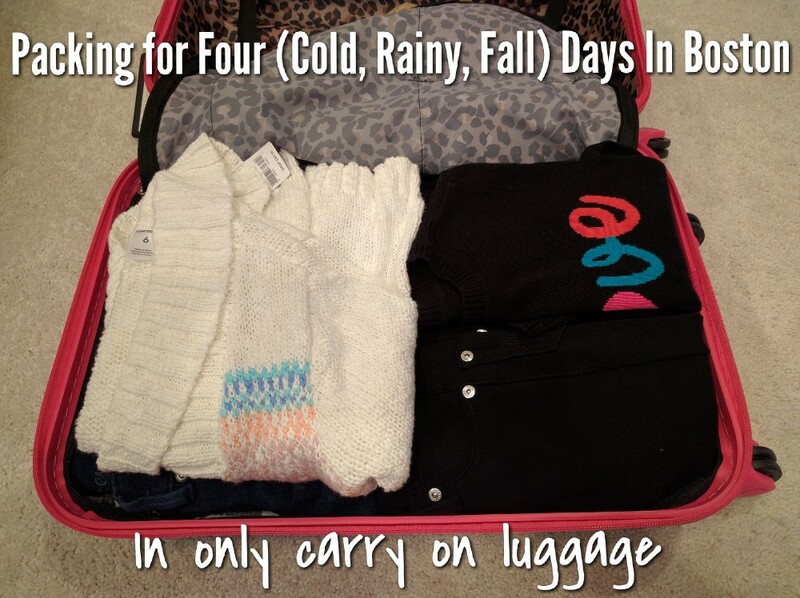 Follow these basic tips and you will find that packing is much faster. And you don’t come home with half a suitcase of unworn, but wrinkled items. Pick a color theme. This helps streamline packing by making it possible to mix and match all pieces into several different outfits. Accessories are our friend. Scarves, necklaces, bracelets and earrings take up very little space overall, but can change the whole look of an outfit. Make sure the accessory you pack can work with more than one potential outfit. Be ruthless when packing shoes. I love shoes, but when packing they can take up a ridiculous amount of space. I make sure that I have one pair of stylish, but comfortable walking shoes (white Converse are my favs) and one pair of dressier shoes for most trips. You probably don’t need everything you are packing. There I said it. But only because I do the same darn thing. In fact, even with this pared down packing for Boston we both came home with one complete outfit unworn and another unworn piece or two. Now let’s get back to specifically packing for Boston. Our highly anticipated trip was quickly approaching and the weather forecast kept getting colder and wetter (there were days that had a high of 49 degrees, rain, and blustery wind). We had a lot of walking and exploring sights of the city planned. I knew we would need to be warm, but I also wanted to be stylish for when we went out to dinner or stopped in somewhere. I was determined to only do carry-on luggage for the two of us. It took some creativity, but we did it! Layering T-Shirts: plain long sleeve T-shirts are a great layering piece. They provide extra warmth, but are not bulky on you or in your suitcase. Sweaters: I brought one really heavy sweater, two medium weight, and one light sweater for each of us. This provided multiple options (especially with layering T-shirt) for weather fluctuations. Jeans: I brought one pair of dark denim and one pair of black jeans for each of us. Dark is more forgiving when you travel because stains are less likely to show. Black jeans also could be casual or dressed up for dinner. Dressier outfit: I wanted to make sure that we had one nice outfit for our dinner at a more formal restaurant. Converse: These are my go-to travel walking shoe. Elizabeth has some too except hers have rhinestones. I know, I’m envious, too. Dress shoe: Since it was fall we opted for black boots. They worked in a casual or dressier situation. Accessories: I brought one blanket scarf, one lightweight scarf and 3 necklaces that could be worn with multiple outfits. Cold weather gear: Gloves, scarves, and a hat. Again this took up very little space, but was so essential in our cold weather trip. Boring, but essential stuff: undergarments, socks, pajamas and slippers or slipper socks. 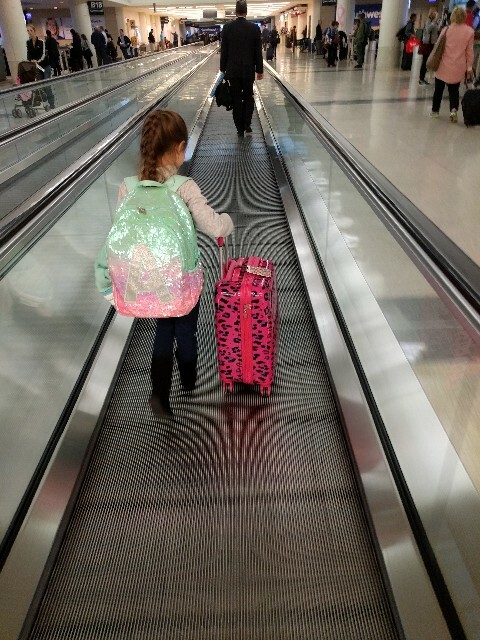 I hope that I have helped you not only plan what to pack for your trip to Boston, but you have learned some tricks that it took me dozens of trips to figure out. While you’re here see what our favorite activities were in Boston and all the amazing places we ate, too!